Summer began her career in tech after receiving her MBA from HEC Paris. Most recently, she has built out the Customer Success function from scratch at Talkable and has grown the team from 2 to 27 in two and a half years. Her team spans across two continents with offices in San Francisco and Kiev and includes the Implementations, Professional Services, Campaign Management and Data Analytics teams. Readdle's been creating iOS/Mac apps for personal efficiency since 2007. 8 products in the portfolio, 100+ million downloads, top positions on the App Store worldwide. Current focus is Fluix.io – SaaS document management system for mobile teams. We are speeding up the transition to paperless processes in Siemens, BMW, SAS, Henry Schein and hundreds of other companies. 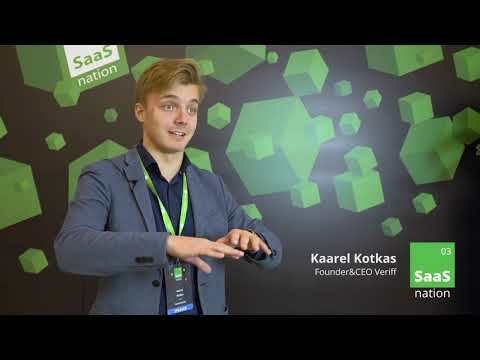 Kaarel Kotkas is Founder and CEO at Veriff. He is the brain and driving power behind Veriff who inspires the team to make it a global success. Kaarel is a resilient fin-tech entrepreneur who started his first business already in high school. He loves the challenge of problem-solving and excels in teamwork. Peter is a senior executive specializing in building and scaling Sales and Customer Success. For now Peter is the VP of Customer Success for Brightflag, which is currently in post startup mode, scaling on a global level to USA, Australia, UK and EMEA, and Сo-Founder of CustomerSuccessNetwork.org – Europe’s fastest and largest independent Customer Success peer learning business. Previously, Peter held Chief Customer Officer positions for various pre-IPO SaaS and other technology companies. Peter is an experienced public speaker on Customer Success throughout Europe – Pulse, SuccessCon, Customer Success Ireland, Customer Success Unplugged London. Olman is the Head of Business Development of AppSumo. Helped grow the team from 2 to 15 Sumos and revenue to 8 figures in 2 years. He is involved in high-level strategy development (what does that even mean), product analysis, copywriting and responsible for maintaining strong relationships with SaaS founders. To date he's worked and helped launch over 100 SaaS products on AppSumo. 12+ years expertise in eСommerce and data analysis. At OWOX Vlad is responsible for products strategic development, performs as a speaker at ecommerce and analytics conferences and provides consulting for leading multichannel retailers. With Vlad OWOX became the 1st company to get both statuses of Google Cloud Platform Technology Authorized Partner and Google Analytics 360 (Premium) Reseller. For the last 9 years, Igor has been building online businesses. His expertise includes: - Ran 4 businesses of his own. They all were unsuccessful. - The first PM in a B2B startup. He joined the company pre-product market-fit, and it became a market leader in 2 years. - Managed a portfolio of media products with a total 100M MAU. - Product Manager at Grammarly. - Founder of KPP – a community focuses on process culture in tech. - Teaches Product Management in Projector, ex-curator of Product Marketing course. David Braun is a public activist and serial IT entrepreneur. Сo-founded TemplateMonster. Working as CEO of TemplateMonster for 16 years, he has launched numerous IT projects. Co-founded Weblium, advanced website builder based on top-notch technology and niche expertise. Customer Success Techniques specialist. Moderates telegram channel Sales Hero about business, marketing and sales. Head of Marketing at Competera – a smart pricing SaaS for enterprise retailers. 6+ years of marketing experience that spans multiple industries including eCommerce, marketplaces, SaaS. Focused on positioning, strategy, technology, channels, and content through a growth-minded, data-driven, inbound marketing approach. Alex is a Marketing Director at Ringostat – call analytics service, which helps to raise the effectiveness of sales and marketing. Alex has more than 7 years of experience in marketing, design and production. His key expertise area is in-depth customers research and product design. He implemented his competence in the above mentioned areas for several IT, real estate and entertainment companies. Ramesh Haridas is an entrepreneur and angel investor. He has started and sold three internet companies. His most recent startup was an AI powered email assistant that was sold to Google in February 2016. He has also invested in over 60 startups. Some of his seed investments include AVG, Ripple, and Refinery29. And some of his misses include (missing investing in the seed rounds of) Uber and Twilio. Cristobal Alonso is the Global CEO aka El Patron of Startup Wise Guys – Europe’s leading B2B accelerator and one of the most active early stage investment companies in the Nordics&Baltics. Cristobal’s unique background combines extensive CxO experience in different mobile operators in Europe with advisory and CEO roles in multiple startups. He is the ultimate "make it happen" person. Cristobal has a degree in business administration and an MBA by World's leading business school INSEAD. Pavlo is the Product Manager at Setapp, the consumer product of the year according to Product Hunt. Setapp.com is a fast growing SaaS business that was launched by MacPaw in 2017. Currently, Setapp has 25k paying members and more than $3m ARR. Pavlo drives ProductTank Kyiv community, organizes ProductHunt meetups in Kyiv, and mentors startups at both Google Launchpad Accelerator program (Worldwide) and Startup Wise Guys (Latvia). Peter has dedicated over 35 years to Finance, Asset Management and Private Banking. He was the Co-Founder and CEO of 2 successful Asset Management companies. In the past 3 years, he has met around 800 startups and made 26 investments. Recently chosen as one of "200+ Most Active Business Angels in Europe". Peter is Chairman in 9 companies and has co-lead investments in 17 syndications. Volodymyr is a Managing Partner at Digital Future, one of the most active venture investors headquartered in Kyiv, Ukraine. He takes care of the firm’s venture and strategic investments, including negotiations, deal structuring, partnerships, as well as day-to-day operations. On top of his work at the venture firm, Volodymyr is engaged in pro bono projects aiming to help tech entrepreneurs overcome their everyday and strategic challenges. Founder and managing partner of the venture fund TA Ventures, which invests in innovative online projects in the US and Europe (including Ukraine). The fund has invested in companies such as Wunder Mobility, Caroobi, Klara, Sensely and 100+ others including Azimo, SumUp, Dreamlines. Learn from the best! 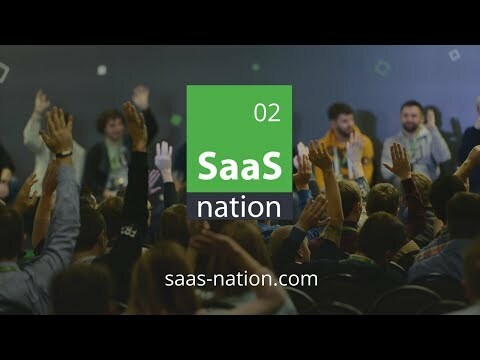 You'll leave SaaS Nation with pages upon pages of actionable tactics that you can apply the minute you get back to the office, plus ton of strategies that you can bring back to your team to help supersize your growth. With 500+ attendees, it's not hard to imagine you'll meet your SaaS kindred spirits, sharing war stories to each other and learning. You'll be among your people. 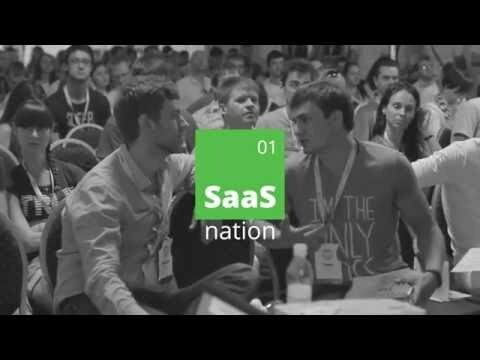 Join us for the SaaS networking opportunity of the year at #saasnation03! Get inspired! We don't just give you the knowledge to take your business to the next level – we insipre you to actually do it. Hear the latest big ideas from Keynote speakers and experts from top SaaS companies worldwide. Afteparty? Sure! To ensure networking it will last till late evening, relationships get made and deals get done. Insane value! You could find out answers here!